I took advantage of this to write a handful of games that have been published. 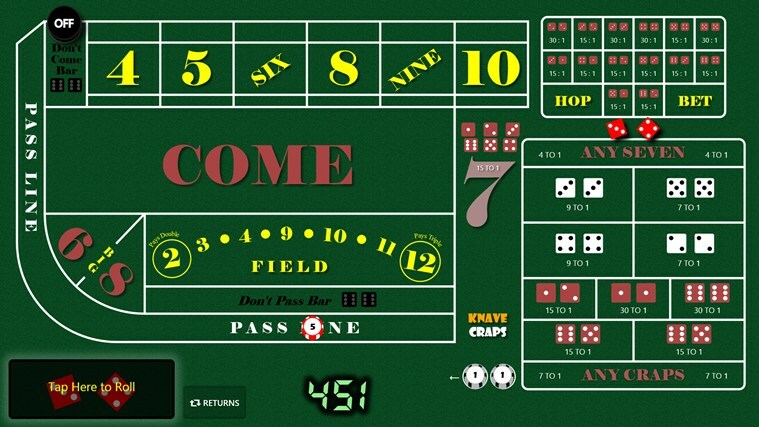 This game started out with the concept of being part of a larger Blackjack trainer – a series of mini-games intended to build skills needed for playing Blackjack. 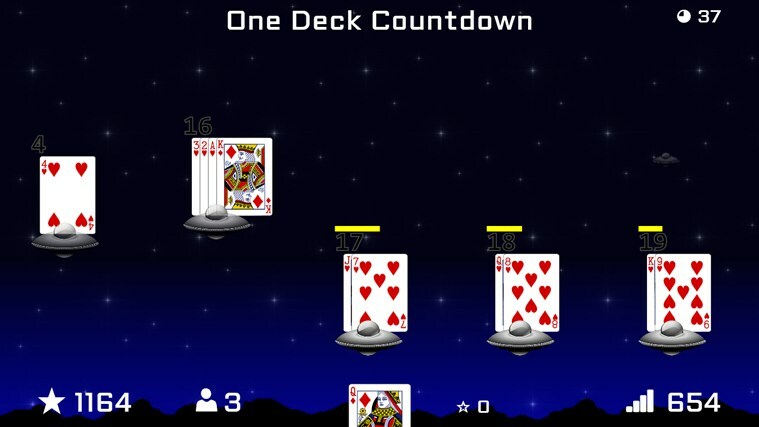 This particular mini-game was intended to strengthen the ability to quickly sum up a hand. The goal is to build a hand of 21 before an invading UFO lands (to destroy the ship). If you bust, then the invader escapes. If the invader lands, you lose a life. Being my first game, I didn’t know when to stop adding things to it. The original Knave Defender had a full soundtrack and sound effects (that I purchased rights to for about $50 total). It had multiple levels. It had a menu, and a pause mode, and configuration options. 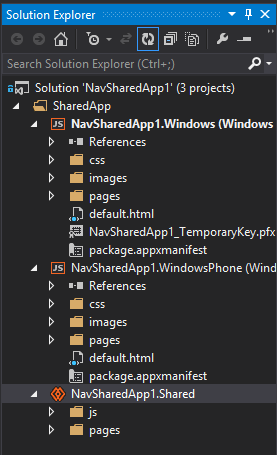 And, after a year and a half of being in the store, it has only 189 downloads. 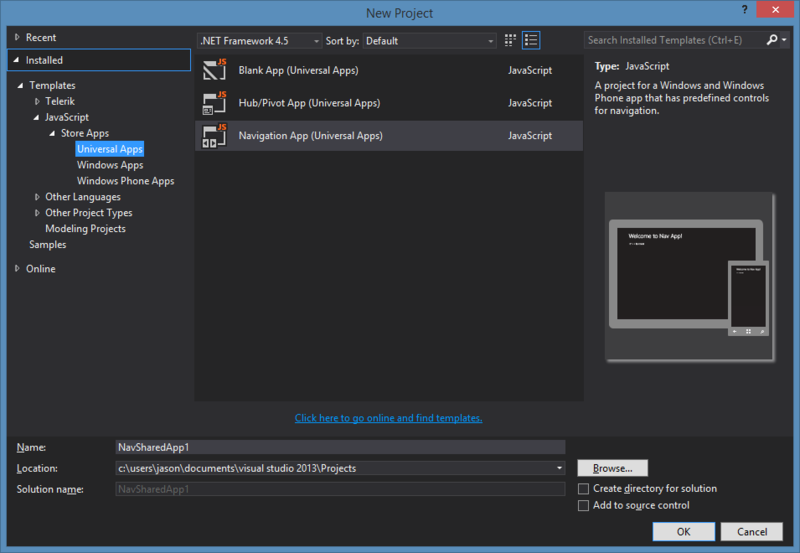 Just this week, I rewrote Knave Defender as a Universal App with the intention of releasing it for the Windows Phone, too. 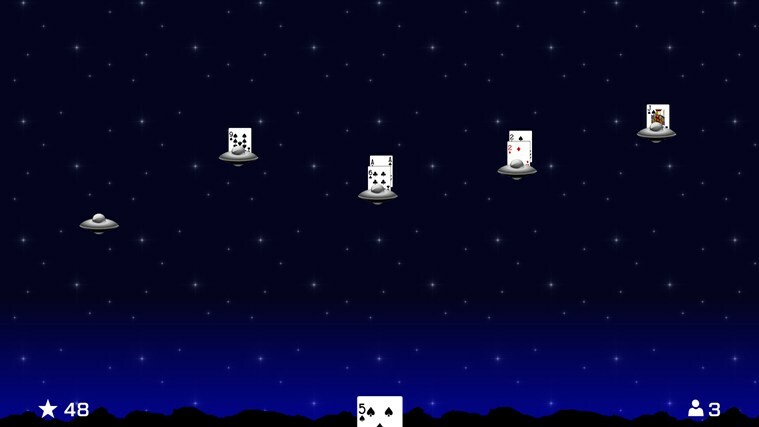 I stripped out a lot of the extra cruft, and turned it into a simple repeating invader game. 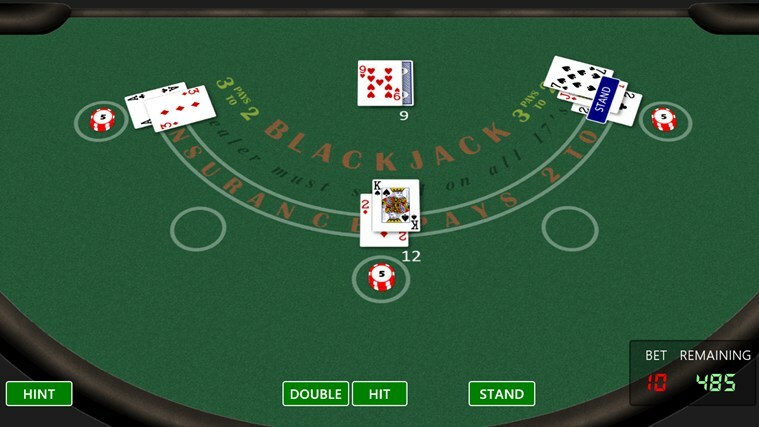 Keeping with the original vision of being a Blackjack trainer, I disabled the display of the hand’s sum so that the player has to do that part in their head. I also added a global leaderboard so that your high scores can be compared to other players from around the world. 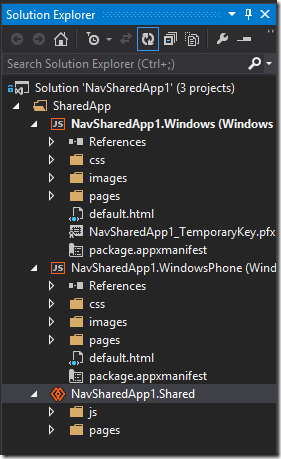 The first step to submitting an app to the Windows Store is to reserve a name for the app. As you can imagine, “Blackjack” was quickly snapped up by somebody out there, so I had to come up with another interesting name. So, even before Knave Defender was released, I had the name “Knave Blackjack” reserved for this game. Knave comes from a card that existed in the deck of playing cards before the Jack card was added. It was of the same rank as a Jack card today. One reason for its replacement was because the Knave’s index was “Kn” and was often mistaken for a King (“K”) in a fanned out hand held by a player. 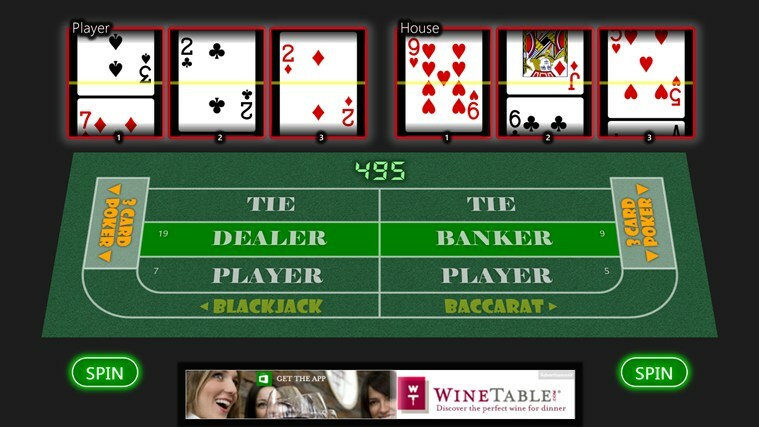 So, in some ways, “Knave” is a synonym for “Jack”, and that’s why I use it today for all of my casino-related games. I fell in love with CSS transforms while writing this game, and made the view of the table something that the user could control (panning, tilting, and zooming are all accomplished using touch gestures that change a style on a DIV). I also designed the table to be skinnable for a marketing idea that I have yet to bring to fruition. Writing Blackjack had taught me that people inherently do not trust Random Number generators, no matter how careful you are at trying to ensure random results. People even go so far as to accuse the game of intentionally doing something in order to screw over their bets. (Their electronic bet, mind you, that cost them no real money to place). The reviews that I get for the Craps game show that the same issues exist. To mitigate this, I added a feature to track statistics over time to see what the roll distribution is. I also added a feature to have thousands of rolls performed to ensure that the results fit the expected curve. And, to put the player in charge, I wrote the randomizer to shuffle through possible rolls over a 3-second period, allowing the player to stop the randomization at any time. At some point while writing the casino games, I started thinking about game theory and how randomization is handled by things like Rock-Paper-Scissors. This introduced me to the RoShamBo, a generalized game that Rock-Paper-Scissors is based on. A RoShamBo has an odd number of elements available, with each element beating half of the other elements (and beaten by half of the other elements). So, in Rock-Paper-Scissors, there are three elements, with each choice winning and losing to one other choice (not considering ties). Being a fan of the World of Warcraft, I wanted to write a game that used the Elements to form a RoShamBo. Looking for some historical context, I stumbled upon the ancient Chinese Wu Xing (translates as five rows, but it is often taken to mean five elements in Western cultures). This gave me an odd number of elements to work with and rules about which element strengthens or weakens another element. In WuX, players take turn placing a random element in a cell. They are blind to what the opponent has placed until both players have claimed the same cell, and then a decision is made using the Wu Xing RoShamBo. The goal is to get three-across (using the center cell), and if that is not possible, then to win more cells than your opponent. 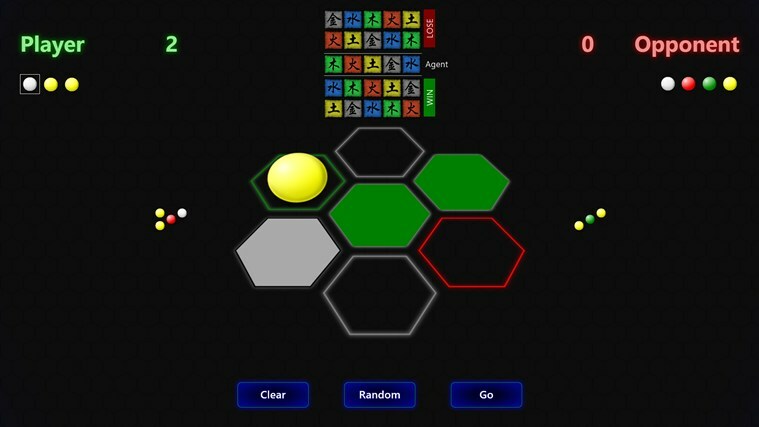 It’s a puzzle in that you are trying to figure out what your opponent has placed where, and a strategy game because you need to keep enough of your elements around to beat their remaining element, especially for the all-important center cell. WuX maintains a global leaderboard that tracks a cumulative score, as well as the number of wins, losses, and tie games over a player’s career. After the rewrite of Knave Defender to make it focused on being a Blackjack trainer, I decided to make a variant of the game using concepts from WuX. Each invader starts with a random element. Instead of cards, the player gets a random element to assign to an invader. The goal is to “weaken” the invader to destroy it, but it’s not always possible, so you have to try to decide how to dispose of elements in order to move on. Sometimes, this results in strengthening an invader (i.e., adding wood to fire will strengthen the fire). 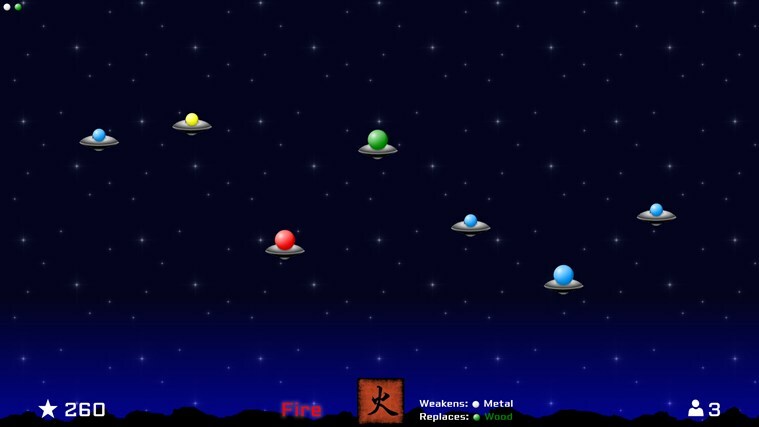 WuX started out as a mini-game in a larger game that I’m currently working on called Amassment. I decided that the WuX aspect made Amassment too complicated, so that’s why it was pulled out into its own standalone game. I’m hoping to have Amassment in the store before Summer 2014.